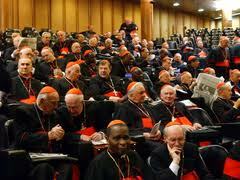 The Cardinals of the Church are meeting today in the first of the General Congregations which occur to prepare for the Conclave. 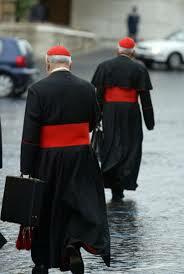 The Cardinals are pictured here arriving at the Paul VI Hall. The General Congregations include the participation of not only the Cardinal-electors, who are under 80 and can vote in the Conclave, but also Cardinals who are over 80 years of age. Among the first to arrive in the morning, there were the Dean Angelo Sodano, Tarcisio Bertone, Camillo Ruini, Giuseppe Betori, Angelo Bagnasco, Archbishop Fernando Filoni, Claudio Hummes, Vinko Puljic, Reinhard Marx, Walter Kasper, Kurt Koch, Claudio Caffarra. 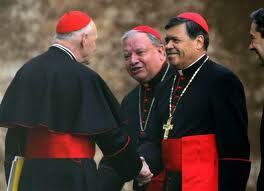 Some cardinals came individually, others in small groups. 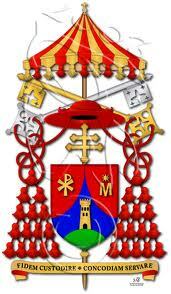 Cardinal Ruini has been seen in dialogue with Giuseppe Betori, his former secretary general of the CEI. Arriving together, conversing with each other, even the Germans Marx and Kasper, as well as the former Archbishop of Milan Dionigi Tettamanzi with Cardinal Stanislaw Dziwisz of Krakow, the former private secretary of Pope John Paul II. The Americans arrived compactly, on board a large MPV. In two separate groups, however, the Brazilians. No one on their arrival, whilst welcoming from afar media operators, issued special statements. 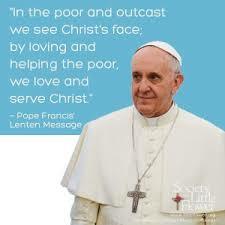 The second General Congregation will be this afternoon. It was announced a few days ago that not all of the Cardinal-electors have arrived in Rome, and their presence is necessary for the start of the Conclave.